Sun. Feb. 19, at 7p.m. A daily series of multivocal poetry readings featuring writers from around the world. Different languages, rhythms and poetic styles converge in a joyous celebration of the poetic imagination. of diasporic ‘travelling tongues’ make these increasingly accessible to each other. and plurality of the ways in which we speak and write. A session that celebrates the spoken word and writers all the way from Mauritius, Iceland, Brazil, Latvia, Luxembourg, Croatia and Macedonia. Friday, 6 January 10:15-11:30 a.m.
SATURDAY 5 NOVEMBER 2016 – 8 p.m.
JULY 19: EL ASSILAH, MOROCCO, DETAILS T.B.A. dans le contexte La 38e édition du Moussem culturel international d’Assilah – See more here. JUNE 22: PRAGUE, CZECH REPUBLIC. DETAILS T.B.A. TUESDAY, JUNE 7, 7:30 P.M.: CENTRE NATIONAL DE LITTÉRATURE, MERSCH, LUXEMBOURG. TUESDAY, JUNE 14, FRIDAY, JUNE 17; TUESDAY, JUNE 21; 20:00 P.M.
apologies for not posting agenda updates for 2015 — too busy elsewhere! The Cabin Literary Center, 801 S. Capitol Blvd, 7:30 p.m.
Penser avec Derrida, où qu’il soit. Institut Mémoires de l’édition contemporaine, Abbaye d’Ardenne, 14280 Saint-Germain la Blanche-Herbe. Colloque organisé avec le soutien de l’IMEC, de la Région Basse-Normandie et de la MRSH de l’UCBN (Université de Caen Basse-Normandie). Ce colloque fera l’objet d’un programme détaillé. Silvana hosts a reading of Rachida Madani’s “Tales of a Severed Head”, with Rachida Madani and Pierre Joris, featuring accompaniment by Gnawa Boussou, a traditional Moroccan band based in New York. Organized by Vincent Broqua, this overview of contemporary poetry translation in the U.S. includes a roundtable discussion and presentation of translated texts. Guest poets include Pierre Alferi, Anne Portugal, Charles Bernstein, Cole Swensen, Pierre Joris, Tracy Grinnell, and Avital Ronell. Reading of French and American poets Pierre Alferi, Anne Portugal, Charles Bernstein, Cole Swensen, Pierre Joris and Tracy Grinnell, presented by Vincent Broqua. 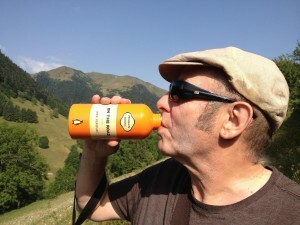 Description: Study with poet Pierre Joris in this one-day online class. “Writing translation / translating writing” inverts the traditional relationship of original text & translated copy & reinscribes the activity of translation as core process of the act of writing. Students will be simultaneously involved with writing & with translation from a language of their choice into English in a range of forms proposed by their own practice & cultural. The class runs for 3 hours and will be held in our online, video-conferenced classroom, so you can attend from your own home, from anywhere in the world. Our students attend class from all over the world, including recently from Australia, Canada, Ireland, Japan, Morocco, the Philippines, Singapore, Scotland, and, of course, the United States. Class size is limited to 10 students. Sign up quick! a few seats left. Saturday, June 1st, 1-8 p.m.
June 15th, 23RD, & 30th. The Gulf (between you and me), a major project that has taken years of planning, brings together composers, a poet, an artist, and a variety of musicians from Japan and America to join The Crossing in exploring a particular theme: how we seem to hear what the earth is saying to us with the same sad inability with which we often listen to those we most love. Luxembourg-American poet Pierre Joris has written a three-part poem that will tie the three performances and composers of this project together. (Two of the composers are relatively new to choral writing; eager to be among the first to have their emerging languages applied to our art, we’re workshopping their ideas on October 13 – open to the public!) To get to know all three composers better, we offer ancillary events – a film and two concerts – that will give insight to the artists’ work. We welcome Chris Jonas’s quartet, Sun Spits Cherries, andGene Coleman’s ensemble of Japanese musicians playing a variety of traditional and contemporary instruments in Ensemble N_JP. Philadelphia composer Gene Coleman’s musical language is at times experimental, at other times minimal, often drawing on Japanese influences, improvisation, extended techniques, and Gene’s interest in architecture and structure to create a rich and unique sound world. The Gulf (between you and me) continues with the musical world of Santa Fe composer Chris Jonas in a work that offers a musical language different from any The Crossing has yet sung. This is a collaborative work with graphics created by Philadelphia artist Dan Coleprojected on the 100’ x 25’ foot great wall of the IceBox, intended to be heard in the magnificent acoustic of this modern secular cathedral; we celebrate this wonderful performance venue in the first of four programs to be heard over the next two seasons. After his visit during MoM 2011, the singers of The Crossing were so enamored of British composer Gabriel Jackson that we set about engaging this internationally-recognized composer for a very special event. Gabriel will compose the third and final installment of Pierre Joris’s poem cycle for The Gulf (between you and me); this promises to be an important evening for The Crossing, as we sing in Gabriel’s thoroughly engaging musical language..
May 14, Tuesday. Reading at Birbeck College, London, Pierre & Nicole. May 17, Friday. Reading with Allen Fisher, Nicole Peyrafitte & Jean Portante at University of Wales, Bangor. May 18, Saturday. Full-day conference on Allen Fisher & Pierre Joris’ work at University of Wales, Bangor. May 21st, Tuesday, reading (PJ & NP) at Edinburgh University. May 22, Wednesday, presentation of vol. 4 of Poems for the Millennium anthologies (The University of California Book of North African Literature) anthology at CCA Center for Contemporary Arts, Glasgow. May 23-24, Thursday / Friday, Keynote address (on Nomadic translation) at University of Glasgow. May 26, Sunday: Little Sparta Reading. (PJ, NP & others t.b.a.). at the UNH Bookstore on the West Haven campus. Randall Horton, UNH assistant professor of English, said the evening promises to be an engaging one. 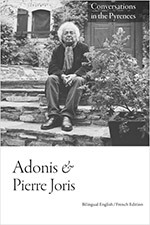 “Pierre Joris is one of the most important poets of my generation and beyond,” Horton said. “He is a poet of the world and one sees a ‘world view’ in the body of his work. People who come out will be thoroughly mesmerized at not only Joris’ reading but his life experiences within the literary community. This will be a total experience.” Joris has translated works by Pablo Picasso, Maurice Blanchot, Edmond Jabès and Habib Tengour into English and books by Jack Kerouac, Gregory Corso, Pete Townsend and Sam Shepard into French. Time: 10:30 a.m. to 11:45 a.m.
384 Boylston, 2nd floor, Boston. Domopoetics is a performance that meanders dialogically between Pierre Joris’ poems, translations & thinking, and Nicole Peyrafitte’s drawings & videos, voice- & textual work. Joris’ nomadic writerly processes & their insistence on a “barzakh” — a navigable archipelago of “in-betweens” — & Peyrafitte’s concept of “Vulvic space” — a homeomorphic topology or transformable conceptual space enhancing the exchanges between self & other(s) — come together in what can be called a “diastolic flux.” Theoretically describable as moving between a somewhat deleuzian energy of plateaus & stages & a more Irigaray-ian awareness based on difference and infiltration, while always anchored in a processual practical poetics & art making, the couple’s collaboration started in the early 90s, & includes a range of duo multimedia performances, many book covers & illustrations, & the raising of two sons. The PEN Translation Committee presents noted translators, editors and poets Nathalie Handal (moderator, author of Language of a New Century: Poetry from the Middle East, Asia & Beyond and The Poetry of Arab Women: A Contemporary Anthology), Pierre Joris (Exile Is My Trade: A Habib Tengour Reader and The University of California Book of North African Literature), Deborah Kapchan (Gender on the Market: Moroccan Women and the Revoicing of Tradition) and Peter Thompson (A Passenger from the West and Hearing your Story by Nabile Farès), who will explore the effects the popular Arab uprisings in North Africa have had on poetry and narratives, both written and oral, and discuss their recent works in translation. Unhappily I had to cancel a range of the summer programs but this fall I’m back doing stuff! Encuentro Internacional de Escritores 8 al 10 de septiembre. Ciudad Juárez, Chih. Sunday, October 2nd, 7 -10 p.m.
Alderson Auditorium in the Kansas Union. This day-long symposium on the poetries of the Islamic world brings together scholars, poets and writers from around the globe and features panel discussions and performances of classical, sung and contemporary poetry. For details, visit www.poetshouse.org. Organized by Poets House & City Lore & presented in conjunction with the Asia Society & Borough of Manhattan Community College. Illuminated Verses is made possible through a special Bridging Cultures grant from the National Endowment for the Humanities. 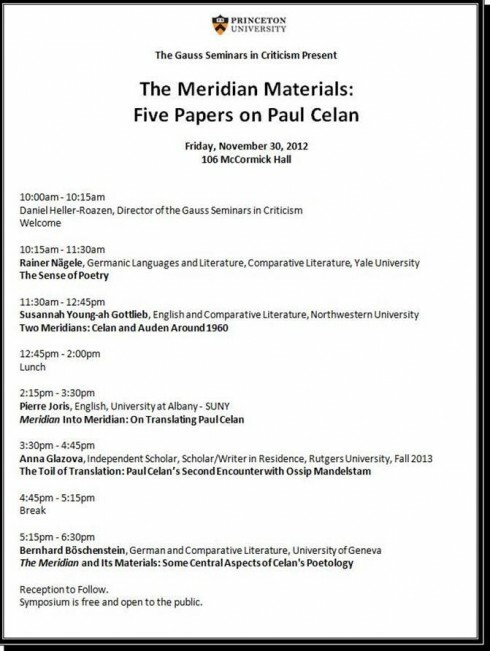 Saturday 30 April 4 p.m.
Thursday 24 March 4:30 p.m.
Friday 18 March 7 p.m.
Esteemed poet and translator Pierre Joris discusses Paul Celan (1920–1970), the German–speaking Jewish poet whose writings transformed post–World War II poetry. Joris presents recordings of Celan, videos, readings and more. 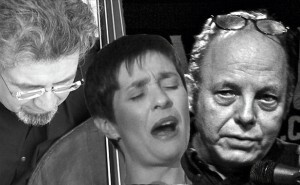 Wednesday 2 March 8 p.m.
Trialogues are improvised collaborative exchanges inside a set time limit between 3 protagonists unconditionally dedicated to their chosen mode of expression: Joris to his nomadic poetry in its wandering, rhizomatic explorations; Peyrafitte to her nourishing, sensual, campy and scintillating multi-layered vocal range & texts ; Bisio to the extraordinary tonal beauty and intensity of the very personal musical language of his double bass. Saturday, April 24 — 2 p.m.
Susan Scutti, Carl Watson + Open Reading! Bring a poem of Buk’s to read! This concert celebrates the CD release of the live recording of their November 20th 2008 concert . Tonight they will offer a selection of Peyrafitte’s originals, contemporary poetry/texts by Pierre Joris, Henri Michaux, Frida Kahlo, Occitan songs and their signature song…or is it a dish? 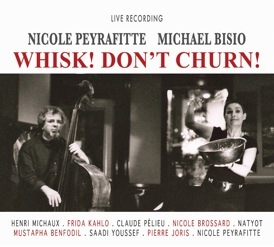 As Pierre Joris writes in the liner notes: “This CD is the live recording of an emulsion: bass & voice whisking words & music — & real cream on track # 6 — ‘La crème de la crème,’ you might say! Whisk! Don’t churn! celebrates that rare occasion: a profoundly original quest. Jello. I am a stupid hockey puck from the Great White North. This may explain why I am unable to find a Future Events section on your Blog. I am sure it is there. It is me, I know but how am I supposed to plan a supportive trip around some future event I know nothing about? I am not a Socialist. I cannot predict the future. Sincerely, Poo of the North. P.S. See you in Taos (2012). P.P.S.S. What does “moderation” mean? I’m thinking that, rather than posting an out of date Events Calendar, which in fairness cannot attract many to places you have already been (shades of Mulisch); perhaps you might simply Change the title to , Hey, Look Where I’ve Been ! Just a thought. Here’s another……Hello ! In checking for upcoming events in the NY area…so great to learn you are upcoming poet and translator in residence at SLS Lithuania 2012! Looks like a wonderful program. Rita El Khayat tells me that Fatima Mernissi has just died.